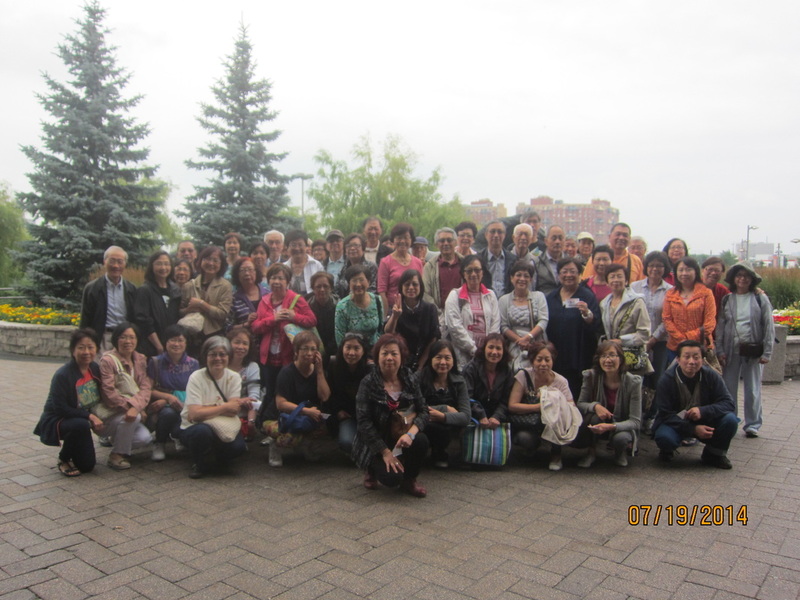 On July 19, 2014 Saturday, ___ Sacred Heartists and guests attended this day trip. We stopped by St. Jacobs, St. Clements and Dutch Mill. We had lunch at the Olde Heidelberg Restaurant Tavern & Motel in Heidelberg, Ontario. The smoked German pork hock, served with home mashed potatoes & gravy, sauerkraut, vegetable & coleslaw, was delicious. The final stop was at the OLG Slots at Flamboro Downs. On November 2, 2014, 118 Sacred Heartists and guests attended this dinner which was held at the Diamond Banquet Hall located in Markham. Feature entertainment included songs sung by Rowena Wong, and Robert Feng. Qigong demonstration by Angela and Edward Ho. Many followers of Roger Feng were present.